Kafue National Park is a sprawling wilderness that includes both woodlands and open grasslands. Kafue National Park is Zambia's oldest and largest national park. It was established in 1924 and is made up of a vast, undulating plateau. A few hills are found along the mid-reaches of the Kafue River and the area is mainly made up of vast areas of Kalahari sand. The Lunga and Lufupa rivers provide water for the area. The vegetation is grassland as well as riverine woodland and there is also teak growing in most parts of the park. Kafue National Park is well known for its predators, particularly the leopard. Mammals are well represented in Kafue and include elephant, hippos, buffalo, sable, roan, Lichtenstein's hartebeest, puku, red lechwe on the Busanga Plains, lion, spotted hyena, and wild dog. The Kafue River and its flood plain are particularly well-known for their rich birdlife, which is represented by about 450 species. Kafue National Park is a popular park because of its diversity; grasslands, forests and the floodplains. The Busanga Plains are a vast floodplain, fed by the Lufupa River. When the floodwaters recede, tiny shoots of grass appear, attracting huge herds of wildebeest, zebra and antelope. The shoreline of Lake Itezhi-Tezhi as well as the Nanzhila Plains are excellent wildlife areas in Kafue, and this is where you are mostly likely to see the magnificent, slender cheetah chasing down smaller prey like warthog or impala. Kafue is not as well-developed as South Luangwa National Park, for example, but it boasts more wildlife species. Let’s be honest, standing in a queue of cars to get a better view of whatever wildlife has been spotted is not great at all. You can rest assured that, in Kafue, this will never happen. This is one of the few places where the natural untouched beauty of Mother Earth can still be experienced and appreciated. Here you can revel in the wild solitude and reconnect with nature. Although man-made, the Itezhi-Tezhi Lake is one of the most striking features of the Kafue landscape. Stretching over 340 km2, it is almost the same size as the Island of Grenada, which is twice the size of Washington D.C. It’s almost impossible to imagine, and what is even more striking is that even the lake seems to disappear when compared to the sheer vastness of the 22 400 km2 park. More than 500 bird species can be seen flying around in Kafue, so remember to pack your binoculars - you won’t be putting them down often! Pel’s fishing owl, bee eaters, kingfishers, African fin-foot, Goliath herons, wattled cranes, hornbills, vultures, eagles and many more live and breed in the Zambian wetlands. 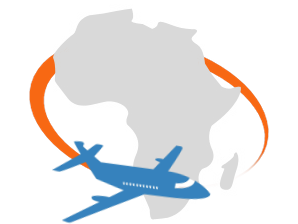 Guests are met on arrival at O R Tambo International Airport in Johannesburg and assisted with transferring to an international flight to Lusaka. From Lusaka, guests are connected onto a light aircraft to Kafue National Park in north-western Zambia. You will be driven to camp from the resident airport in a 4X4 vehicle by a camp ranger. Although you will be experiencing quite a few of the park roads during your stay at Kafue, guests are chartered directly to the parks’ resident airport upon arriving in Zambia, and therefore avoid the capital’s busy roads. Guests are transferred upon arrival at one of the light aircraft strips to the lodge in a four wheel drive vehicle. The weather plays an integral park to visiting Kafue, as during the wetter summer season from November to April the plains are flooded, which makes a large part of the park inaccessible. The wet season does, however, transform the area, and its lush greenery is rather spectacular to see. Luckily there are camps that do stay open all year round. The best time to visit would be during the dry season from June to October, when most of the park is accessible. The park is fairly large and the climate varies from area to area, and as such some parts of the park do go below zero degrees in the winter. The dry season is also the best time for game viewing and boat cruises are available throughout the year as well. Kafue National Park is the oldest and largest reserve in Zambia. It was established as a reserve in 1924 to protect the natural environment and the animals within it. Then, on the 20th of April 1950, the status of the reserve was upgraded to a national park by the Governor of Northern Rhodesia, now Zambia. In the 1950’s, the authorities started the large scale development of this park. The untamed wilderness needed some infrastructure to provide tourists with access to the natural wealth of the area. Thus, the massive undertaking of surveying the boundaries and roads and clearing sites for camps got under way. Internal roads had to be developed with loops and facilities for visitors. Airstrips were cleared and permanent camps were constructed. After great effort, the park was reasonably well developed at the end of the 1950’s. The relocation of villagers out the national park by negotiating with their respective chiefs was completed by the 1960’s. This however, wouldn’t last long, because the indigenous inhabitants were dependent on the natural resources for their livelihood. Thus it was decided that wardens would control the small scale exploitation of resources by villagers. With permits, the villagers were then allowed to fish during certain times of the year, harvest wood for fire and building material, pick fruit for sustenance and to gather salt from the salt pans for their own use. The sheer diversity of wildlife in the Kafue National Park can rival any reserve in the world. It contains four of the Big Five, excluding the rhinoceros. Leopard sightings in the forested areas are so common visitors are basically guaranteed to spot this highly elusive predator. Very large prides of lions of up to 20 strong move throughout the reserve, and cheetahs are plentiful, especially in the north. Kafue is also a stronghold for the endangered African wild dog. Although wild dogs are never easy to spot, Kafue provides ample opportunity to see them, due to the fact that the world’s largest population exists within this park. Elephants are seen frequently. The Kafue River, along with its tributaries, contain large pods of hippos as well as some of the largest crocodiles in Southern Africa. An extremely large variety of antelope are found in this park. Big herds of puku and red lechwe occur. Rare and elusive species like blue and yellow-backed duiker, sitatunga, roan and sable are almost common place. Other mammals include pangolin, aardvark, bush baby, honey badger and much more. It is also a birder's paradise, with an amazing 491 species that have been documented, including the endemic Chaplin's’s barbet. Kafue is both the oldest and biggest national park in Zambia. The area is predominantly covered by Miombo woodland, grassland and shrubland, although wooden grasslands, riparian forest, and acacia woodland areas are also found in the park. Northern Kafue is known as the Busanga Plains: a rolling plateau of miombo woodland, mopane woodland and in some areas grassy dambos (shallow wetlands). The area is also veined by many tributaries of the Kafue River, which in turn create corridors of hardwood riverine forests which can only be navigated by traditional mokoro boats (dugout canoes) in the rainy seasons. The park includes various wetlands, such as the Busanga Swamps in the far north-western region, the Kafue Flats, Lukanga and Lushwishi Swamps, which are listed as wetlands of international importance under the Ramsar Convention. These lush areas and the variety of ecosystem types are of critical importance to the various animals they support, such as the wattled crane, and cheetah. The tree islands found along these strips are also well-known because of the sheer size of some of the species that can be found. Sycamore figs and baobab trees are some of the most prominent and also culturally significant in the area. A variety of safari opportunities are available in the park. Birding safaris are a very popular activity in Kafue, and specialist birding drives accompanied by expert game rangers are available for bird-lovers. Day and night drives in 4x4 vehicles are an excellent way to view larger game and to cover more ground. Walking safaris mean that guests can experience the terrain in a more hands-on manner. These safaris are usually offered in the evenings because of the intense heat, and overnight camping opportunities are available. During the rainy season, safaris on the Kafue River by means of mokoro are an exciting and unique way to explore the surrounds. 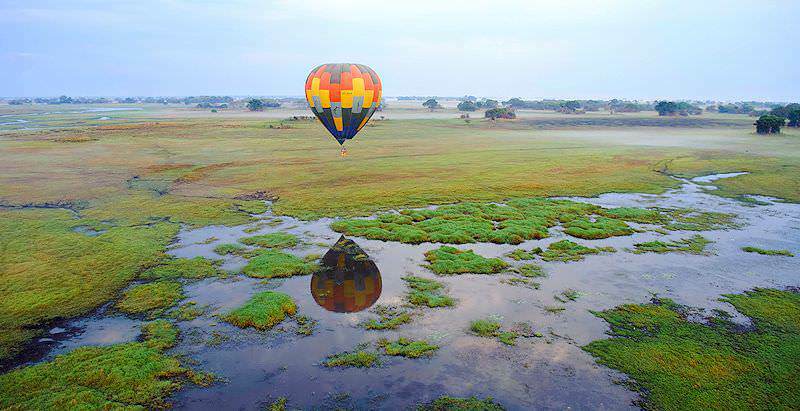 At certain times of the year, hot air ballooning can be done in the park, which offer a breathtaking aerial view of the grasslands, wetlands and also larger animals roaming the rolling plains. Additionally, it makes for spectacular sunrises and sunsets across the vast expanse of the African wilderness, and is a great opportunity for photographers and cinematographers to film the landscape. Fishing is also allowed in the park, and pike and barbell are regularly caught off the banks of the Kafue River and her estuaries. At night, it’s best to be on your back, looking at the stars that seem to dominate the landscape from a million miles away. You'll undoubtedly savor the low visitor density and the prolific animal population when exploring Zambia's Kafue National Park. The immense herds - and the predators that trail them - will take your breath away. When visiting Kafue, you can experience nature in its purest, most unspoilt state. 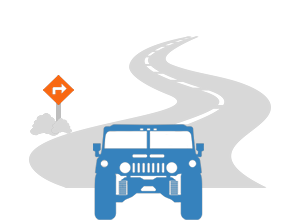 Here you can go on a game drive without ever viewing another vehicle. No signal, no television, no distractions – just you and Mother Earth. The Busanga Plains are one of the jewels of Kafue and of Africa. It is hard to articulate the immense beauty and diversity of the wetlands. The river and its offshoots create a water-logged web that will keep you entranced during your entire stay. The floodplains create the ideal grazing site for a diverse range of antelope, such as the red lechwe and puku. Buffalo, wildebeest, elephants and huge herds can be seen foraging in the grasses. It is plainly wonderful to watch them, and also the predators that follow them. What is the flight time to Kafue? Your total flight duration from Johannesburg will be approximately 3 and a half hours. Zambia is a malaria area. You should consult your personal physician if you are planning a trip to Kafue. Are there Tsetse flies in the park, and does the ‘sleeping-sickness’ occur? Yes, but in the last 50 years only one case of Human African Trypanosomiasis occurred. Can I drink the water in Zambia? It is recommended that you do not drink water from the tap. Bottled mineral water will be readily available at all accommodations. Yes, Zambia is very safe to travel in. The remote nature of the camps mean that internet coverage is low to non-existent. 'Shumba' means 'lion'. Kafue's most famous camp is aptly named, as many lions frequent the area. Travel to South Africa for an in-depth experience of the 'world in one country'. Botswana's most sought-after safari area is the Okavango Delta. Namibia's top destinations are Etosha National Park and Sossusvlei. Zambia's safari areas are tough to reach, but offer rewarding game viewing. Travel to Zimbabwe for an awe-inspiring view of the Victoria Falls. Mozambique boasts 1000km of tropical Indian Ocean-bordering coastline. The Victoria Falls is one of the continent's most sought-after destinations and offers a true bucket list experience. Zambia's South Luangwa National Park is one of the continent's most underrated safari areas, replete with wildlife. Lower Zambezi National Park offers enchanting water-based safari experiences based around the Zambezi River. Kafue National Park is both Zambia's oldest and largest national park, an enormous wilderness that comprises a variety of eco-systems.